From Fraser coast, Sunshine coast and Coral coast, if you’re in business or at home, find out how Arctic Cold can help keep you cool. We have a wide range of domestic and residential product to suit any application. We deal with many manufactures so you are assured that we can give you the most up to date technology to suit your home. We are the warranty agents and can repair all that we sell. You can be worry free about your investment. 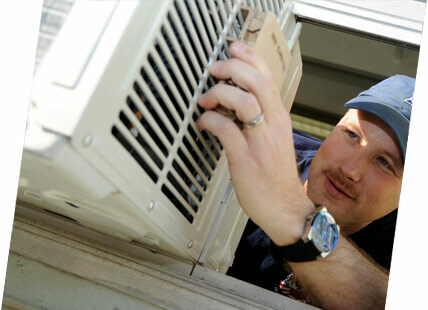 We have the experience and capability to take on any commercial Air Conditioning or Refridgeration project. We supply and service business all over Queensland, from schools and residential complexes to large commercial buildings and factories, we have a solution to keep you and your staff cool. Perhaps the most important part of your Air Conditioning and Refrigeration system - the serving and maintenance to keep your systems in working order all year round, and running at their optimal settings - saving you from future system replacements, downtime, and saving on operating costs. Finance your new purchase and pay no interest for the promotional period. View the FAQ / Factsheet before you apply. Visit the Online Calculator to determine your repayments. *Approved applicants only. Fees, terms and conditions apply including $99 Annual Fee. A minimum monthly repayment is required regardless of applicable Interest Free periods. Interest, currently 23.99% p.a. (variable), is payable on the balance outstanding after any Interest Free term. Credit provided by FlexiCards Australia Pty Ltd ABN 31 099 651 877 Australian Credit Licence number 247415 (FlexiCards). Lombard® is a trademark of FlexiCards Australia Pty Ltd, a subsidiary of FlexiGroup Limited. Not available at all dealers. Please contact your local dealer for more information.